This is Post 1 of 3 about my recent classes and lectures. If you are interested in booking me, please visit the Teaching and Speaking page for more information, and feel free to email me (I'm scheduling for June to December). I also have a page on the Modern Quilt Guild's Teacher and Lecturer Directory. 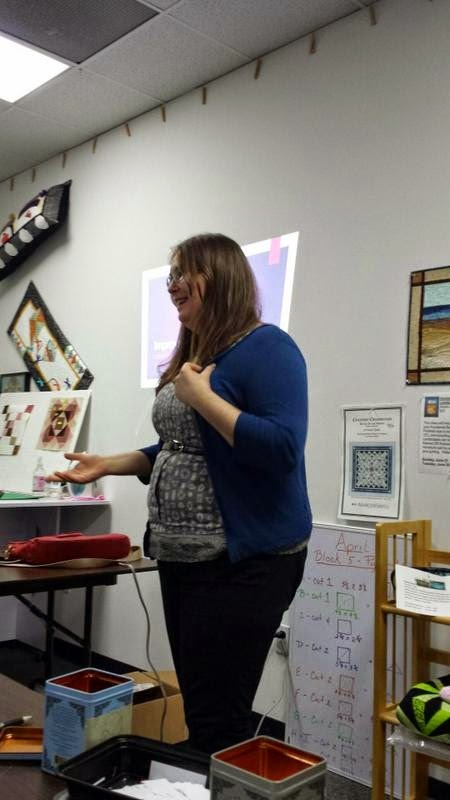 My specialties are improvisational piecing, free motion quilting, technology in quilting, and modern traditionalism, and I can tailor (no pun intended) my lecture or class to your needs! 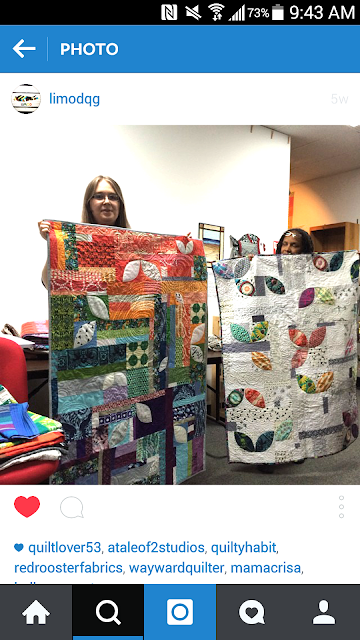 Thanks @limodqg for the Instagram pics - this was the first time these inverse Orange Peel quilts were together! 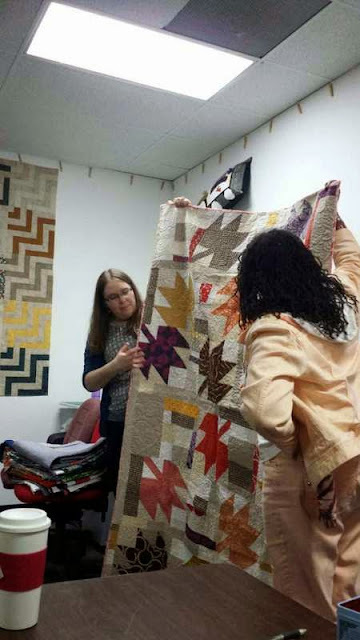 Last month, I visited the Long Island Modern Quilt Guild (LIMOD) to give my lecture/trunk show on Improvisational Sewing. 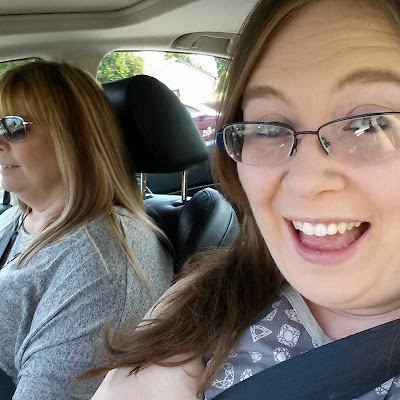 The drive from western NJ was long but I had great company (my very supportive and dear mother). 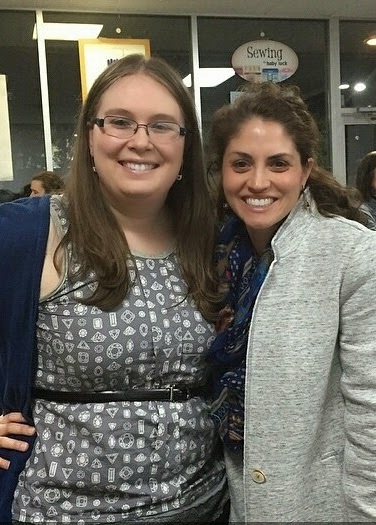 I couldn't wait to meet my online friend Kim and her guild members! I also give pointers on how to start piecing improvisationally if you've never tried it and/or are apprehensive. Ironically, the guild started an improv challenge that night! They asked me to incorporate some info on Modern Traditionalism, which I was happy to do. We also discussed free motion quilting on your home machine because all of the quilts I brought were quilted by me. Apparently I was eating my hair here, but I was super into my quilt, so it didn't matter. Thanks for having me, LIMOD! You were so welcoming and I hope I get to see some of you at future QuiltCons or at your guild again! Looks like such fun! 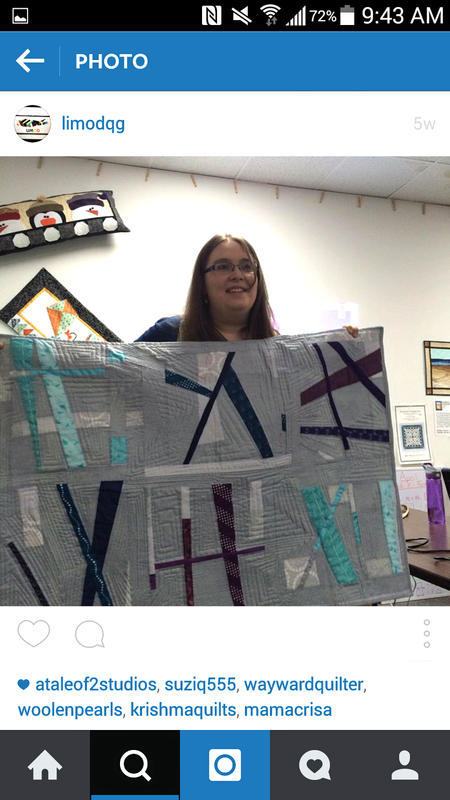 I'm impressed you still have so many of your quilts! I was trying to prepare for the guild program and wanted to bring examples of the peacock feathers I'd made...and only had the very first (and poorest) quilt I'd put them on!